The 2018 Cork Digital Marketing Awards will be held on Friday 28th September in Rochestown Park Hotel. 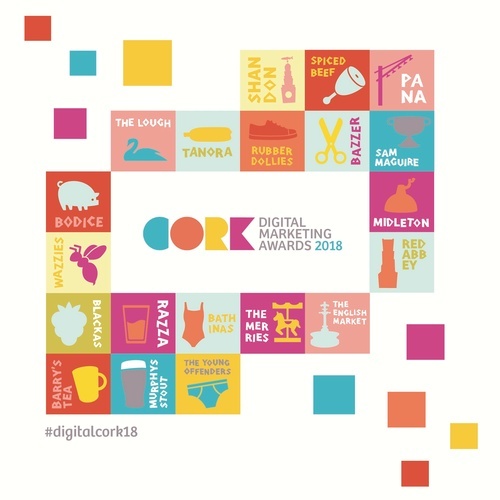 On the night, the winners of each of the 18 categories will be announced, along with the overall 2018 Cork Digital Marketing Champion! We are delighted to have Granite Digital as our Headline Sponsor this year and to be supported by Red FM and the Irish Examiner. Registration will kick-off at 6pm with a lively drinks reception followed by a 3 course meal and the Award ceremony. Dave Mac of Red FM will be our fabulous MC for the evening. The theme for this year is All Things Cork so don't be afraid to put your best Cork foot forward! And don't forget to bring along the dancing shoes for our after-party surprise!! Registration commences at 6.00 p.m.